I recently received a package in the mail from The Dallas Caramel Co. Team, and oh what a sweet box it was. 😉 (Pun intended!) Rain McDermott has been baking caramel in her kitchen since 2007. This year, she has finally launched her own brand, Dallas Caramel Company. Dallas Caramel Company comes in 12 different flavors, as well as original caramel. The flavors include Bacon, Sea Salt, Orange, Cinnamon, Coconut, Espresso, Chipotle, Amaretto, Drunken Nut, Pumpkin and Chai. 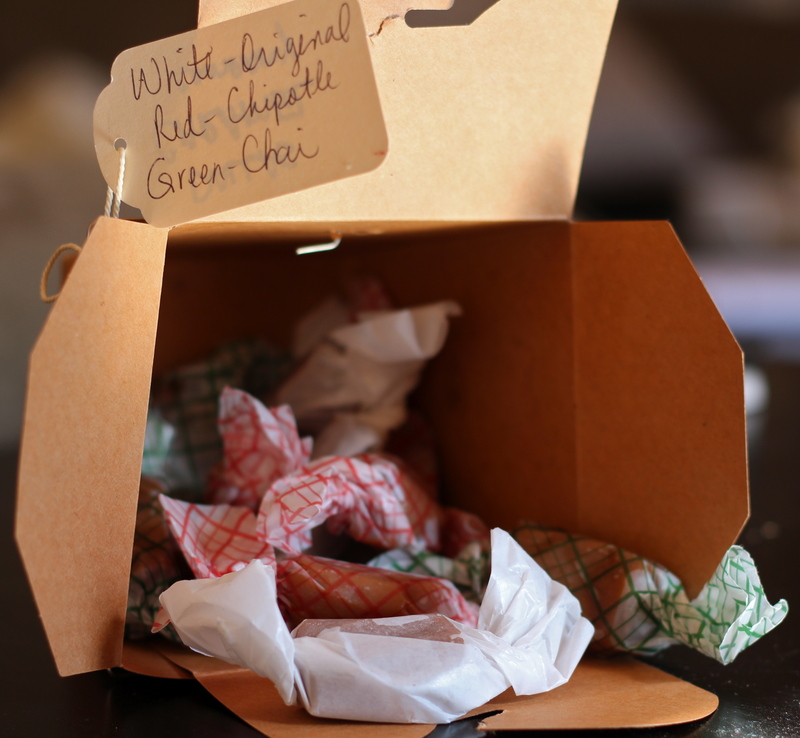 I tried the original, Chai and Chipotle, and they are FANTASTIC! Chai is full-bodied as if you were drink it. Chipotle is sweet with just a little heat. The original is a perfect base for all the above flavors, as it melts in your mouth and lingers the sweetness for a few minutes. 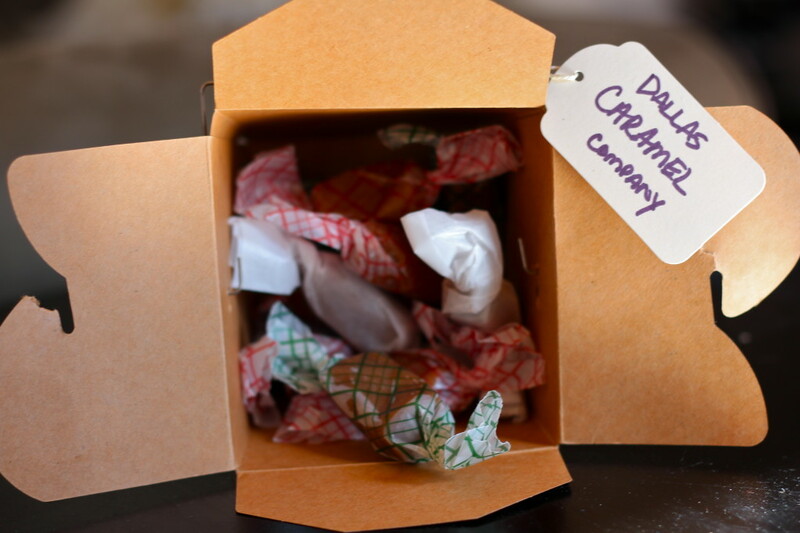 Dallas Caramel Company is a perfect gift for Valentine’s Day for your lover or your children! They also make a perfect gift for hostesses, clients, co-workers, business associates, out-of-town friends, get well and for “thinking of you” gifts.